CIOs and CTOs have several strong options for how to manage their organisational IT infrastructure. The three main solution types are Public Cloud– services like Google drive and Microsoft Azure, Private Cloud where hardware is kept on site or at a shared co-location facility nearby or a Hybrid Cloud using a combination of the two. How Zellabox Is Bringing Centralized Data Center Infrastructure Management to Mission-Critical Micro Data Centers Across the World. Small footprint. Big Impact. As equipment gets smaller, more companies need secure, climate controlled containment as well as a cloud-based backup solution - modular and containerized data centers become Micro Data Centers (MDCs). Zellabox, currently based in Perth Western Australia, is a market leader in the Modular Micro Data Centre industry with a customer base that spans the globe. Established in 2010 to offer a robust solution for protecting servers and data in a variety of environments, Zellabox offers a range of Modular Micro Data Centre solutions that are flexible, scalable, robust, aesthetic & energy efficient. In fact, Zellaboxes are quiet enough to be housed in a library yet robust enough to survive a cyclone! And now more than ever, with recent attacks on the NHS (UK’s National Health Service) computer systems and others, all companies must be aware of data sovereignty and need to know that their data is both secure and protected. Impending GDPR makes you RESPONSIBLE! Zellabox is fully compliant with all the requirements of a full datacentre incorporating the 8 disciplines of datacentre engineering and offers you peace of mind, knowing where your data is & that it is totally secure. Productivity and efficiency are key to company performance so knowing how your network and IT infrastructure assets are performing is vital. Zellabox offers management & monitoring to all your critical infrastructure from one single management location, simplifying management of your IT assets. If you generate large amounts of data and happen to suffer from poor or unreliable access to the cloud a Zellabox will protect and secure your data locally, keeping your intelligence close to its source. Zellabox models include the 12U (just 1.2m high and the world’s smallest datacenter), the 25U and the biggest of our family the 38U. A 25U will be on display at the show and our baby, the 12U, is on display at BT’s Innovation Showcase. If you can’t make it to the show please get in touch! With a history stretching back to 1971 Vysiion’s solutions have been developed from its heritage in business-critical infrastructure delivery, its IT managed services expertise, and its Public Sector cloud, hosting and network capabilities. As a result the Vysiion team has the experience and capability to provide a full technology consultancy and delivery solution. All solutions are developed by an accredited team with a thorough understanding of Communication & Infrastructure Delivery, Cloud Computing, Colocation & Data Centre Solutions, and IT Managed Services. With the increasing focus on edge computing and the need for real-time data access in remote locations, more organizations are seeking cost-effective, intelligent ways to process and store data in facilities closer to the populations they serve. Deploying data centers at the edge, however, comes with its own set of challenges. How can organizations deploy critical infrastructure at the edge when traditional data center architectures are no longer practical or sufficient? That’s where Sunbird partner Zellabox comes in. A leader in micro data centers, Zellabox develops modular micro data centers that provide all the same capabilities as a traditional data center but with a footprint roughly the size of the refrigerator in your kitchen at home. 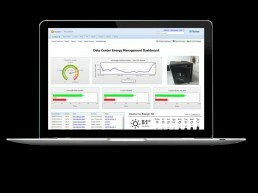 We sat down with Zellabox cofounders Angie and Clinton Keeler to discuss edge data center challenges, key components and benefits of micro data centers, and how Data Center Infrastructure Management (DCIM) can provide customers with better management and control for their micro data center deployments.